You know that toys are good when they impress your own parents. 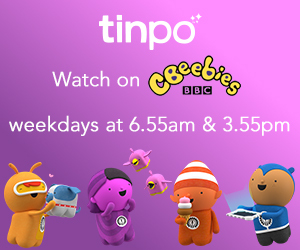 Parents of parents have bought and seen most of the toy fads come and go and have invested a serious amount of time and money in them. A huge box arrived on my doorstep with the Tonka brand label splashed across the cardboard this weekend whilst Granny and Grandad were visiting for Hero’s BBQ. Grandad was impressed. He was even more so when he found out that I’ve been selected to be a Tonka Tough Mother. This might just be the role I was born for. Since birthing three boys, I’ve become more accepting of mud. I thought I was pretty at home with it with our huskies leaping around everywhere bathed in it, but add three bipeds into the mix and over the past few years I’ve probably become the mud-accepting equivalent of a noseblind person. Seriously, I have mud blinkers. However, we figured every Tonka Tough Mother was going to test in mud. And mud never hurt my real car that much – but sand…. sand is a real nuisance. 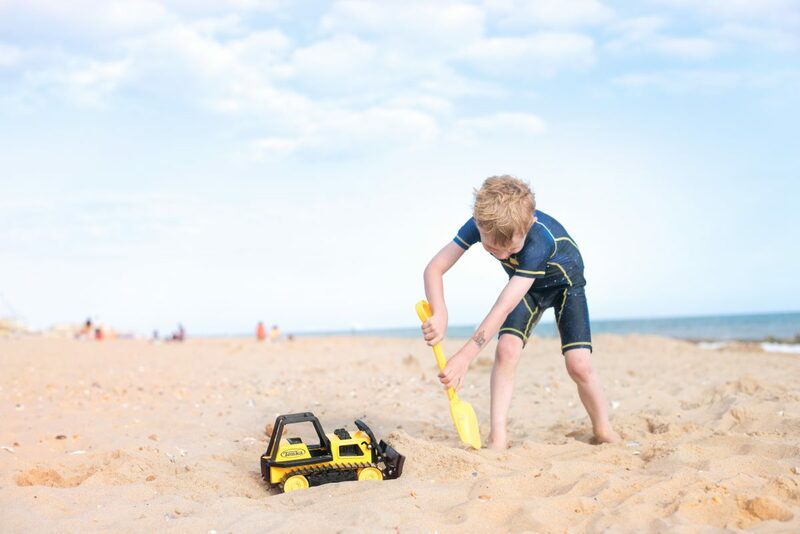 And so we took our Tonka Tough Test to our favourite local beach, Southbourne. We tested the bulldozer and tow truck from the Tonka Steel range, and my two bigger boys were in heaven. Hero was taking a beach nap. We bulldozed, trucked, ran along the seashore until our hearts’ were content that sand was not going to defeat our Tonka Steel vehicles. That they really are indestructible. Completely. My boys were so impressed they wanted to stage their own show where they attempted to destroy one to see if it actually could be done through stunts, but Lyoto loves his trucks too much to even risk that. There is a lifetime guarantee! Who gives those these days? There are working parts on them. The trucks actually work. The price – these are amazing value, and would make fantastic presents. That with the name “steel” in the branding, there was more actual steel on the trucks. There’s a lot of plastic too. The track on the bulldozer didn’t come off quite so easily. It was easy to fix back on, but it interrupted play a few times and left one of them running back to me with flailing arms, yelling for help. So…Challenge one, passed. 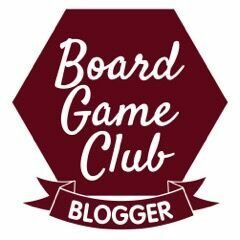 These toys are build to last – they really are the undisputed king of the sandbox. Tonka is launching soon on Argos Online! We were gifted these toys in return for our opinions as ambassadors. Ooo I love a good Tonka truck!! I actually really must buy some for my boys they would love them!!! I love that there are working parts on them, so many trucks and cars nowadays don’t really do anything and that can frustrate my kids easy!! Great to hear they are such good value, they have been a winning toy for a very long time!! My boys are filling up the bulldozer with everything they can find to test it! I love toys that can get dirty and not break within ten minutes! We have the cement mixer and Sebastian loves filling up the back with sand! Lovely toys, especially with that pretty impressive lifetime guarantee. My kids grew up playing with Tonka toys and now my four grandsons play with them too. I love how tough they are! Awww I remember my boy used to have some tonka trucks when he was little. They really do last for a long time. I can’t get over the lifetime guarantee – I’ve never bought toys with that before! I guess we are all built with the same desire of wanting our parents to be proud of us for something. Sounds like a great toy. 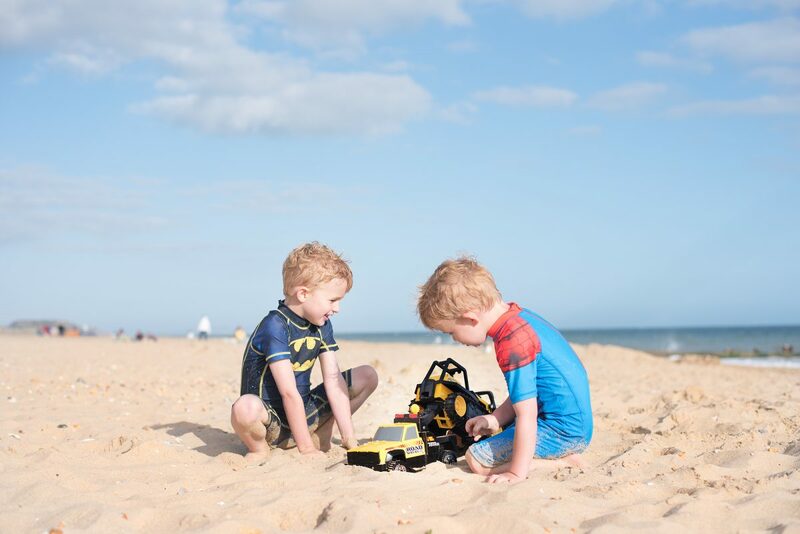 We have a mini Tonka trucks in our lives! In fact my son actually has an old steel Tonka truck. They last forever I swear. They’re wonderful toys you get your moneys worth with them! Hopefully the take your advice on making the tracks easier to come on and off. My son played with my nephew’s Tonka trunks and he is 20 years older than my son. They are in our garage now, still in great condition. Tonka trucks are the best and this one is so cute. My son loved them and now my grand sons do. I have two girls, but we love to play with trains and trucks. This sounds like a great toy for the sandbox or even at home! I’ll check out this toy for sure. Oh how fun! These vehicles sound perfect for beach days. I like that they are so tough! These trucks are great for kids! We had a few in the sand box when I was younger and I have one for my kids as well. 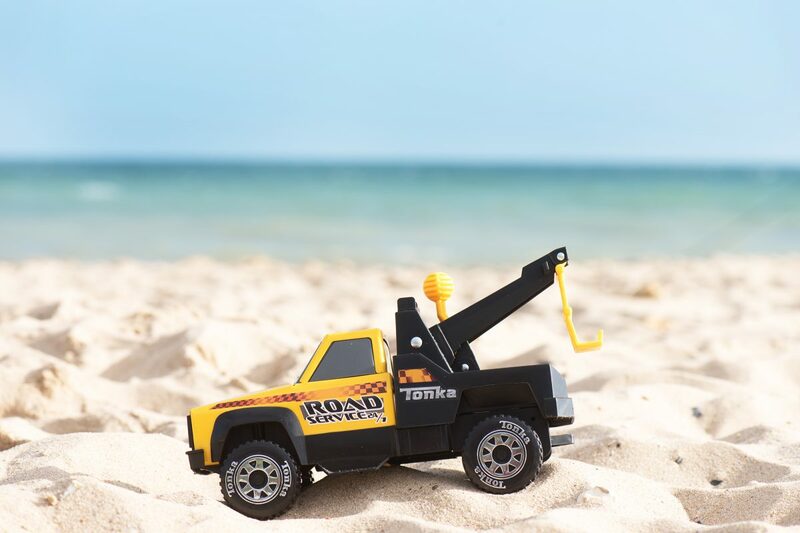 Looks like Tonka Trucks keep them pretty happy on beach days. Love it! One of my treasured toy when I was a kid was a Tonka. I love it because it was really durable and fun to play with. My son was a Tonka kid. He loved getting his dump truck dirty in the mud. They are definitely some of the best constructed toys on the market. Cannot wait to bu my grand baby his first Tonka truck. I remember the Tonka truck life. My son is 11 now and has moved on from this stage. I love that they are built tough. They are the best match for rough boys. I need something different for my nephew’s Christmas present this year and a Tonka truck may be it. My boys adore tonka trucks. Seriously they are huge tonka boys and I love getting them because they last super long and are really durable which is great with rough boys! I miss the days when my boys got down and dirty with some Tonka trucks! These really are built to last, thanks for sharing the fun photos. LOVE your pictures!! I have five boys and Tonka was and still is a favorite in our house. We’ve had some for years so I know first hand that when they say Tonka is built to last they mean it! Love your attitude towards mud. Tonka is an iconic brand – have fun in your new role. It sounds perfect for you. My son LOVED trucks at this age! 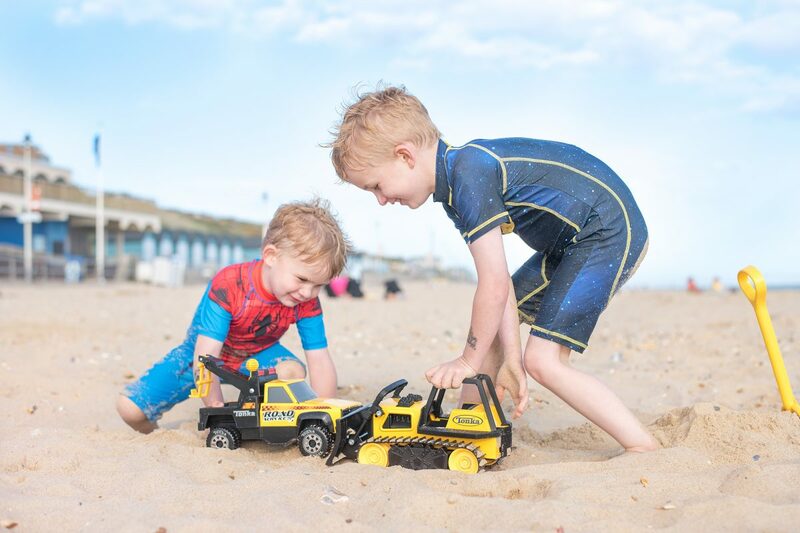 We have always loved Tonka trucks around here! Tonka Toys were definitely a must when my boys were younger. I bet I could even still find some things that they would enjoy now. Both my boys had Tonka’s and they are still on the go as I gave them to friends.